"The Decline of Western Civilization"
Long before Penelope Spheeris directed the headbangers ball that was Wayne World she made two music documentaries that captured the essence of L.A.’s punk and heavy metal scenes of early and late 1980s. The punk-driven Decline of Western Civilization and its sequel, The Metal Years, created the template that MTV and VH1 would use or adjust for such shows as Behind the Music and The Osbournes. After becoming one of Hollywood’s go-to comedies directors, Spheeris completed her Decline trilogy with 1998’s Decline of Western Civilization Part III, which focused less on the bands that dominated L.A.’s punk scene of that time than the gutterpunks struggling to overcome childhood abuse, drug addiction, and homelessness. The Decline of Western Civilization Part III remained unreleased until this past summer, when Shout! Factory released a Blu-Ray box set of the Decline trilogy. Spheeris worked on the restoration of the documentaries and the compilation of the bonus material with her daughter Anna Fox, who served as the box set producer. The Decline of Western Civilization includes interviews with and/or performances by Black Flag, Catholic Discipline, Fear, Germs, and X. The Decline of Western Civilization Part II: The Metal Years includes interviews with Ozzy Osbourne, Motorhead’s Lemmy, WASP’s Chris Holmes, and Kiss’ Gene Simmons and Paul Stanley, as well performances by Megadeth and Faster Pussycat. The Decline of Western Civilization Part III includes performances by Final Conflict, Litmus Green, and The Resistance. In addition to The Decline of Western Civilization trilogy, Spheeris directed then indie youth dramas Suburbia, The Boys Next Door, and Dudes as well as the studio comedies Wayne’s World, The Beverly Hillbillies, The Little Rascals, and Black Sheep. 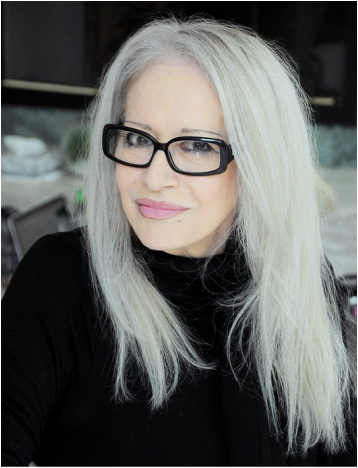 The Austin Film Society will hold the Penelope Spheeris Live in Person Series on Aug. 28 and 29 at the Marchesa Hall and Theatre. The Austin Film Society will screen The Decline of Western Civilization at 7:30 p.m. Aug. 28, The Decline of Western Civilization Part II: The Metal Years at 9:30 p.m. Aug. 28, Suburbia at 7:30 p.m. Aug. 29, and The Decline of Western Civilization Part III at 10:15 p.m. Aug. 29. Anna Fox joins Penelope Spheeris during this interview.